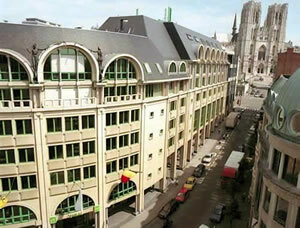 BCGL 11 will take place in the heart of Brussels, at KU Leuven – Brussels Campus. The easiest way of reaching the venue is by going to the Brussels Central railway station (which you can reach by train or by subway). Find the ticket hall and leave the station through there. Turn right onto the beige tarmac (which is situated in the middle of the road) and walk straight ahead. This is the Boulevard de l’Impératrice/Keizerinlaan. Where the central walkway ends, turn left onto Stormstraat. The venue is located at the bend in the road.